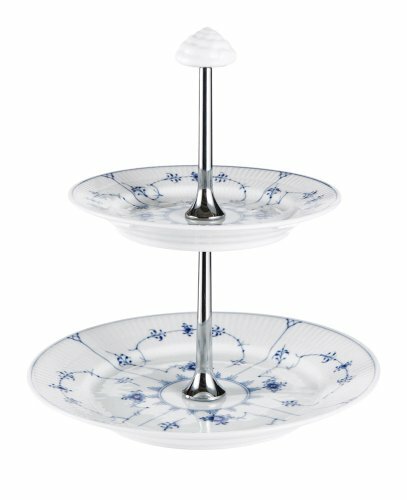 1101437 Features: -One of the world's most famous and desirable porcelain sets. -Blue Fluted Plain is still produced as it has been since the beginning, where each piece is treated as a piece of art and is lovingly painted by hand. -Blue Fluted Plain collection. Product Type: -Tiered stand. Material: -Porcelain. Color: -Blue and White. Dimensions: Overall Height - Top to Bottom: -4.02". Overall Width - Side to Side: -10.83". Overall Depth - Front to Back: -11.02". Overall Product Weight: -6 lbs.